In the flurry of articles published on or around 14 May, the anniversary of the Palestinian Nakba, Jeff Jacoby's article for the Boston Globe stands out - it is one of the few that focuses on the Jewish exodus without reducing it to a one-sentence throwaway. It is also one of the few pieces to reach a mainstream audience. Over the years, enormous attention has been paid to the issue of the Palestinian refugees. Even after seven decades, the topic remains raw and emotional. It is frequently said that there can be no lasting solution to the Arab-Israeli conflict until the plight of the Palestinian refugees is settled. To this day, the Palestinian Authority and Hamas claim a “right of return” for the original refugees and their descendants. More than 1.5 million Palestinians live in dozens of refugee camps administered by the United Nations, their predicament intensified by the refusal of every Arab country save Jordan to grant them citizenship. The “Jewish nakba” of the 1940s is now largely forgotten. Yet in terms of the number of people affected, property lost, and history erased, the catastrophe that befell the Jews of the Arab world dwarfed what happened to the Palestinians. But with the rebirth of Jewish sovereignty in Palestine, antisemitic fury erupted across the region and those roots were ripped out. 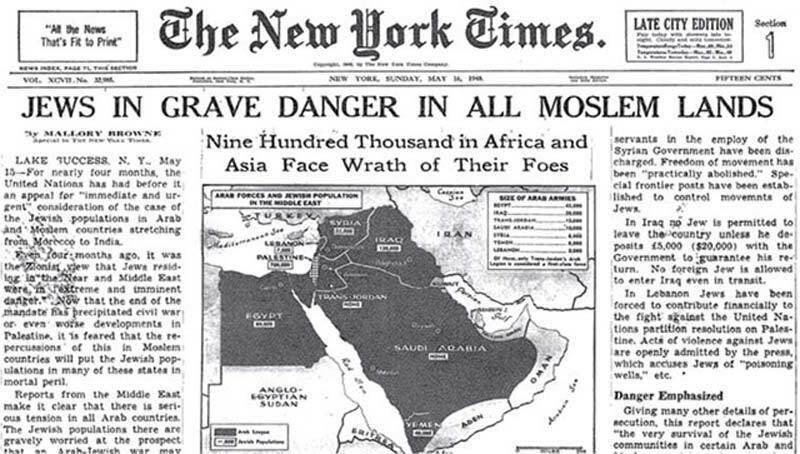 As the UN in 1947 debated whether to adopt the partition plan authorizing a Jewish state, Arab leaders had warned that violence against Jews would be uncontrollable. 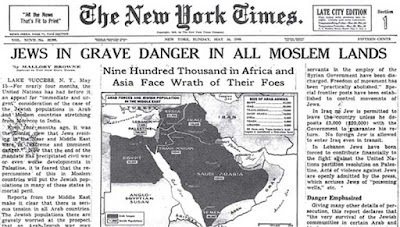 Addressing the UN General Assembly, the Egyptian ambassador Heykal Pasha threatened “the massacre of a large number of Jews” if the partition plan were adopted. In reality, the waves of expulsion and expropriation that ensued were orchestrated less by Arab mobs than by Arab governments, which passed harsh new laws stripping Jews of their property. In time, some 900,000 Jews were dispossessed or banished. Most of them made their way to Israel, which welcomed them as new citizens. Many had little more than the clothes on their backs; they had no choice but to rebuild their lives from scratch, while dealing with the trauma of upheaval and shattering loss as best they could. confront your cheating spouse with evidence,i was able to spy on my cheating ex phone without finding out.....it really helped me during my divorce ...you can contact him via (hacksecrete@gmail.com) call or text him on +1(617) 402 2260 for spying and hacking social networks, school servers, icloud and much more,viber chats hack, Facebook messages and yahoo messenger,calls log and spy call recording, monitoring SMS text messages remotely,cell phone GPS location tracking, spy on Whats app Messages,his services are cheap.. and please tell him i referred you to him he is a man with a heart of gold.